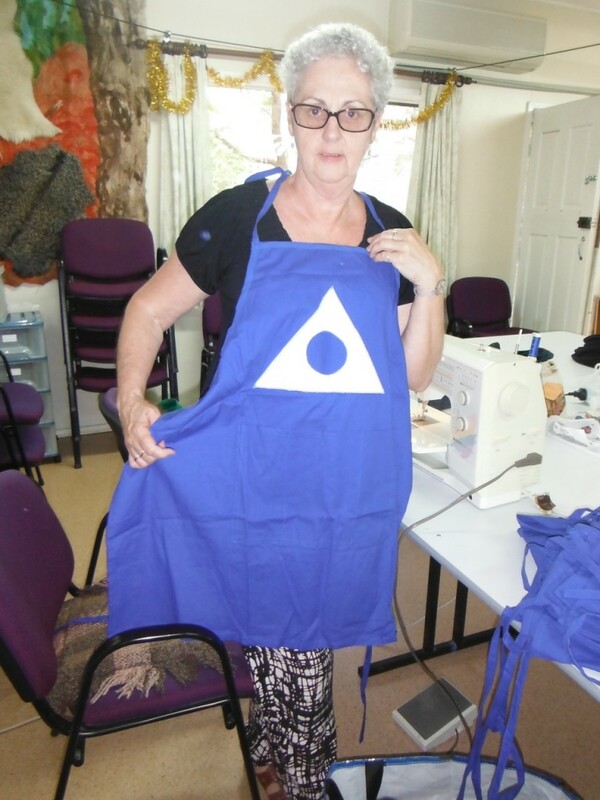 Rosie is making fifteen of these aprons for the National Convention in Newcastle for AA & AL-ANON. This is a family support group for AA’s. By Lyn.